With a fresh, floral fragrance from plant based ingredients, this fabric softener from Ecover will naturally soften and freshen your laundry, making ironing easier. Ecover fabric softener leaves no residue of unnecessary chemicals, is suitable for septic tanks and has minimum impact on aquatic life. This product will biodegrade completely after use. Buy in quantity and refill your existing container to save money and unnecessary smaller plastic bottles. For machine washing: Pour 1 or 2 capfuls (for extra softness) into the fabric softener dispensing compartment of your washing machine. Run your washing machine as per the manufacturer's instructions. For hand washing: Add to last rinse of your hand wash. Dilute ½ or 1 capful of fabric softener in 5 litres of warm water. (1 capful = 30 ml). 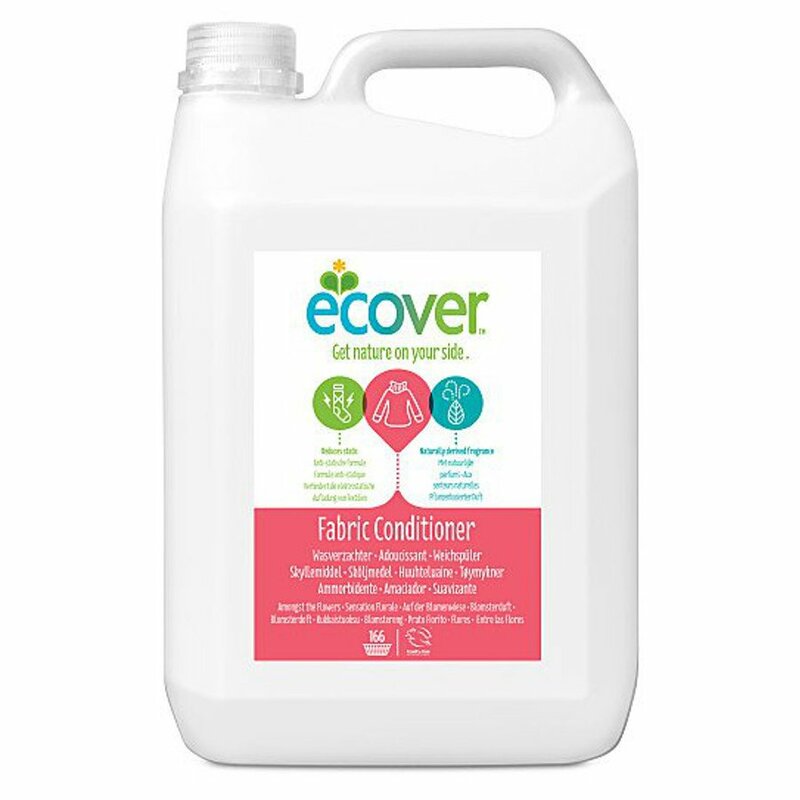 The Ecover Fabric Conditioner - Apple Blossom & Almond - 5L product ethics are indicated below. To learn more about these product ethics and to see related products, follow the links below. Really nice smile and itâ€™s really good feeling use the eco-friendly product. 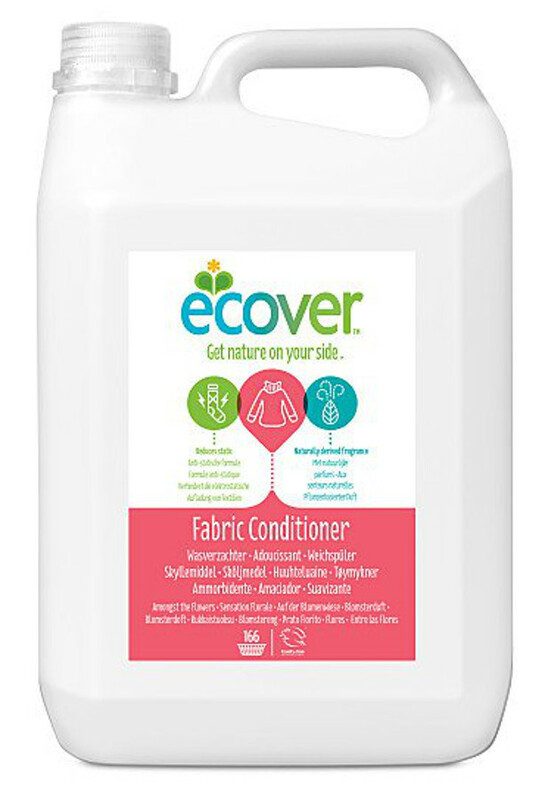 There are currently no questions to display about Ecover Fabric Conditioner - Apple Blossom & Almond - 5L.